I have a Memphis Electric I think Fender copy of some sort. Submitted by NocturnalMale74 on Sun, 09/21/2008 - 23:35. Hello All..... I am new to this site and need some help please. 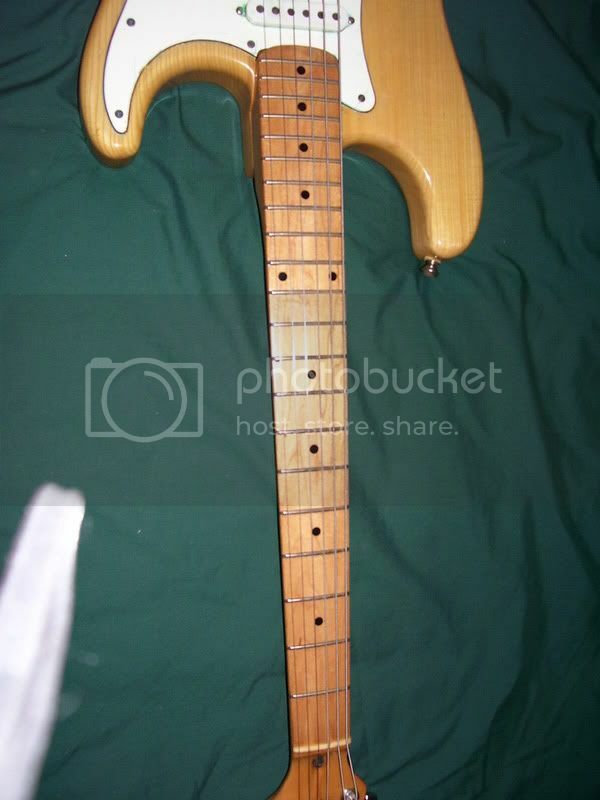 I acquired an electric guitar from a friend...I have heard that it is a Memphis Fender copy....a Strat or Tele...but I have no clue. I took the guitar from him...and cleaned it up pretty wicked !!!!! 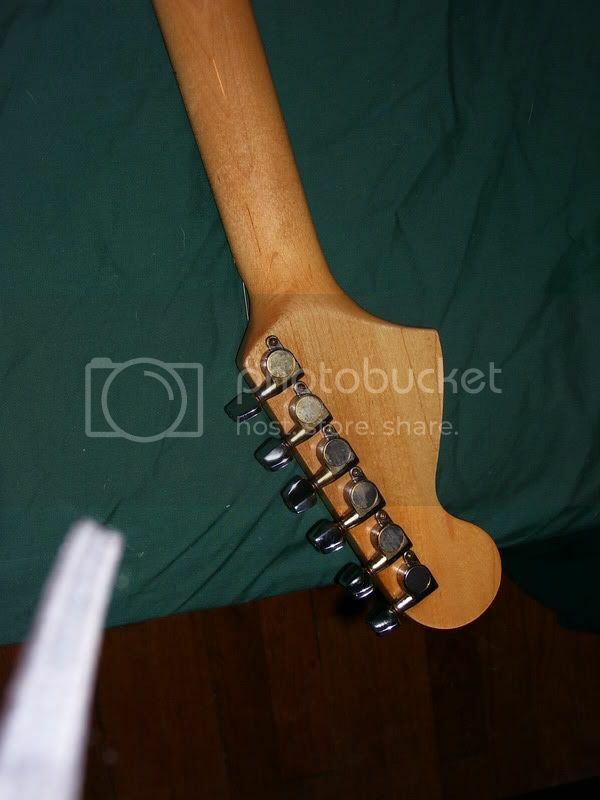 I basically cleaned everything...resoldered everything electrical on the guitar...Restrung the guitar...and it sounbds decent... but I would like to know exactly what this guitar is and how old it is...what it went for and what its worth now if anything. I have pics of the guitar... but I dont know how to post pics here..
Posted by glw on Mon, 09/22/2008 - 09:20. Posted by NocturnalMale74 on Wed, 09/24/2008 - 00:51. 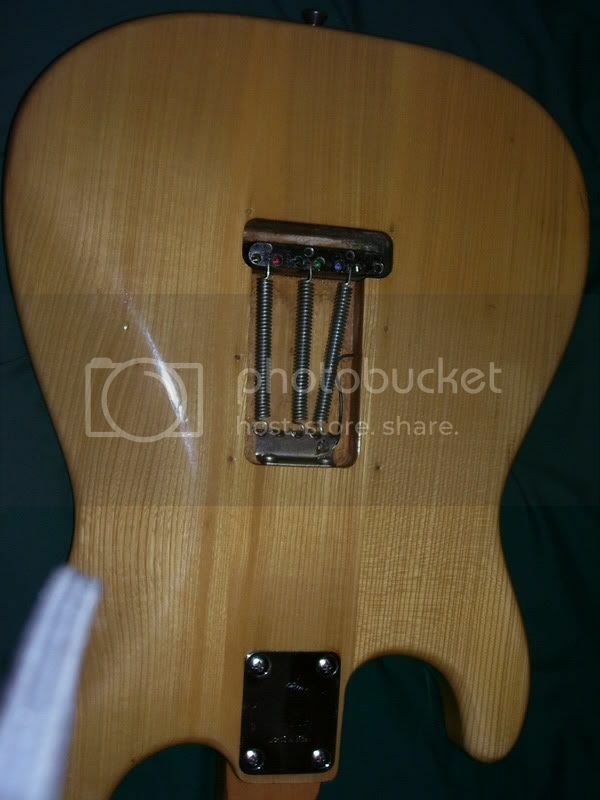 Here are some pics of the guitar that I am trying to identify.. Thanks for all help and patience. Posted by NocturnalMale74 on Wed, 09/24/2008 - 00:53. Posted by NocturnalMale74 on Wed, 09/24/2008 - 00:54. Posted by NocturnalMale74 on Wed, 09/24/2008 - 00:55. Posted by NocturnalMale74 on Wed, 09/24/2008 - 00:56. Posted by NocturnalMale74 on Wed, 09/24/2008 - 00:57. 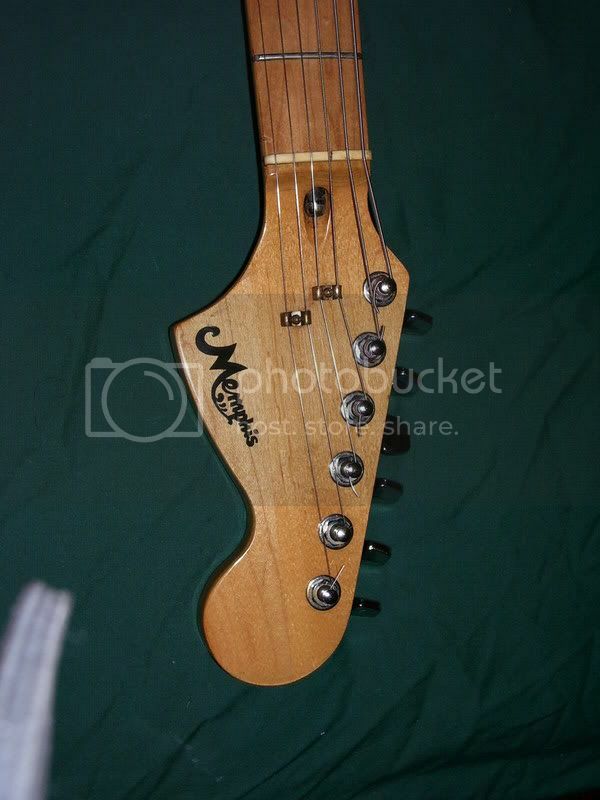 These are the pics....can anyone tell me what kind of guitar it is ? ?...and what is was worth...and what it could possible be worth now if anything ?? Thank you alll in advance !!!! Posted by glw on Wed, 09/24/2008 - 20:40. 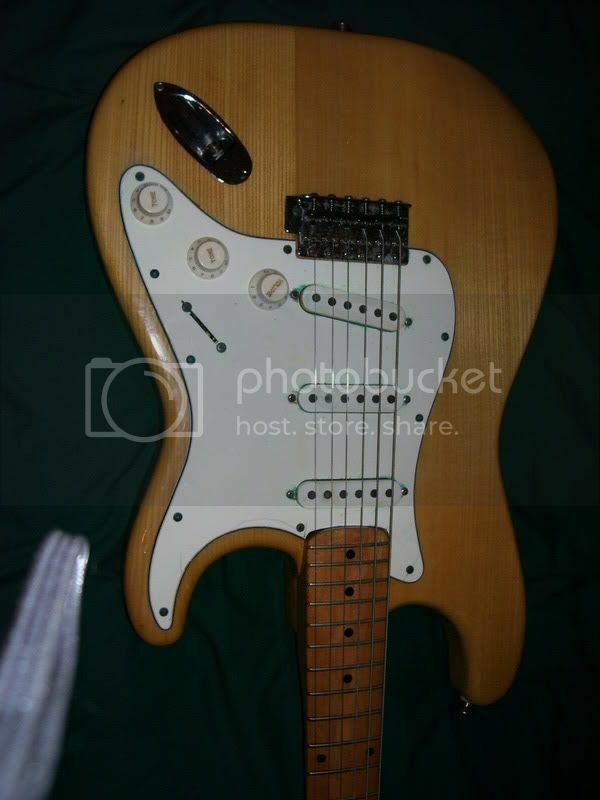 It looks to be a pretty decent Strat-copy, with maple neck and from your pics what appears to be an Ash body. It all looks to be good quality stuff. 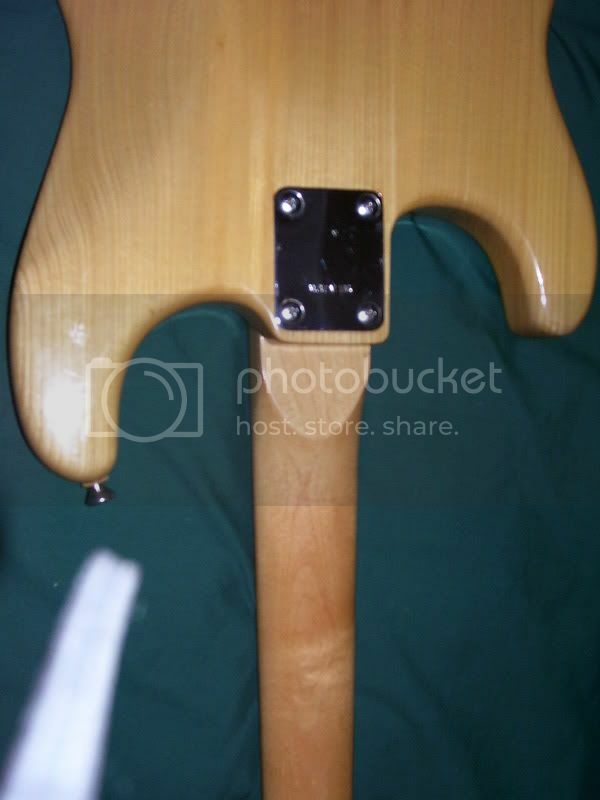 Posted by 1bassleft on Thu, 09/25/2008 - 22:54.
and a suggestion that the instrument is not worth a great deal, around $200, probably worth keeping if you enjoy it rather than selling for relatively small money.